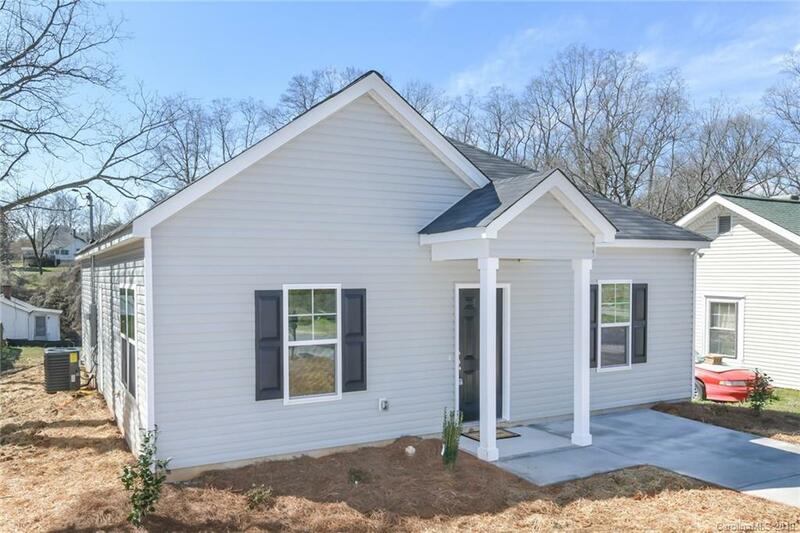 BRAND NEW 3 BEDROOM HOME IN DOWNTOWN MOORESVILLE! Granite countertops, ceramic tile backsplash, ceramic tile in the bathrooms, vinyl exterior for care free living, stainless steel appliances, recessed can lights in kitchen, energy efficient home with 2019 code featured throughout, 2 MINUTES FROM DOWNTOWN MOORESVILLE with restaurants, shopping, city hall, attractions etc., great schools, close to churches, grocery shopping, 5 minutes from I77, large backyard, upcoming neighborhood, good size family room, large master bedroom with 2 walk-in closets, larger secondary bedrooms with large closets, great location, great home for downsizing or first time homebuyers, BRAND NEW EVERYTHING for $189,900!!! Listing agent is builder.